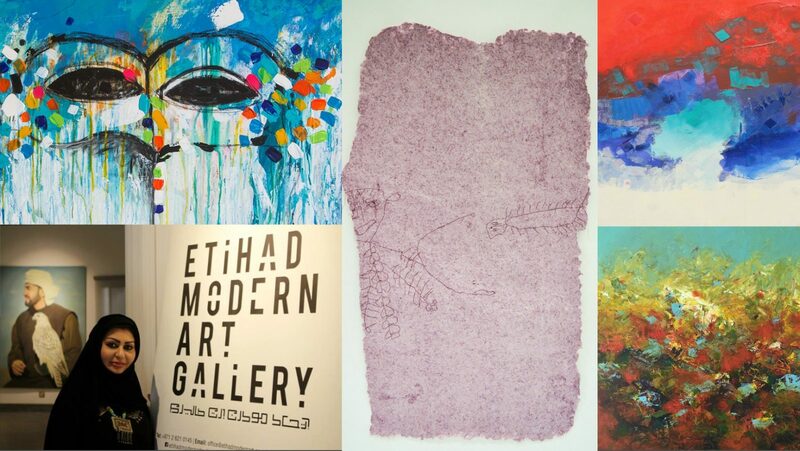 Etihad Modern Art Gallery (EMAG) is a multi-purpose art space and café in the heart of the capital city of the United Arab Emirates, Abu Dhabi. The gallery is open to the public every day (excluding Fridays) from 10am to 10pm, with an open door and free admission policy. The owner, H.E. Khaled Siddiq Al Mutawaa, envisioned a friendly and versatile art space, that is open to everyone, which encouraged the promotion, discussion and growing appreciation of the burgeoning Emirati art scene. Opening in 2013, EMAG organised significant art shows and local heritage exhibitions, creating bonds with the international art scene and academic institutions. We achieved this by inviting international artists to live, teach and create in the UAE, motivating local artists to showcase their work and hosting a wide range of parallel cultural activities like art workshops, poetry nights and music events. In 2016, EMAG’s continued success brought in a respected European curator. Now, EMAG has a new exhibition with a VIP opening every month and importantly, we have extended our connections with respected galleries and institutions in Europe. In December 2016, EMAG was the first ever privately-funded gallery from the UAE to host a large scale exhibition in Berlin, the art capital of Europe. The ‘Art Nomads: Made in Abu Dhabi’ exhibition announced the arrival of Emirati artists in the international art world with numerous excellent reviews in German and international media, including Harper’s Bazaar magazine. During 2017, EMAG will continue the promotion of excellent Emirati and UAE-based international artists with a presence in celebrated Art Fairs around the world. The planned 2017 season of exhibitions will see an even more diverse and prestigious display of new and exciting artists from around the globe and continued international publicity for UAE culture.